By now Zone 7 has held their Concours School and Autocross School for 2018. Autocross has also completed a weekend event at Marina. There are still 7 more Zone Autocross events ahead so check out the Zone 7 website zone7.pca.org for all the dates and locations. The Zone Concours series will have its first Zone event on Sunday, May 6th, at Porsche of Livermore. Join Diablo Region for a nice day in Livermore. Event registration is at the Zone 7 website by clicking on the “Concours” tab. Many of us are looking forward to the CRAB 37 weekend being held near Old Sacramento at the California Automobile Museum on May 18-20, 2018. This is a great event, which doesn’t happen every year, so check it out at svr-pcaor.org/wp/crab-2018/. 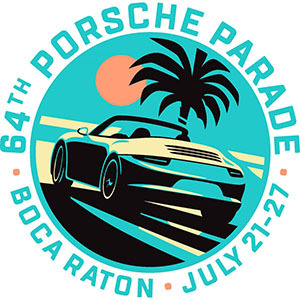 There is something for every Porsche car and member that weekend. If you haven’t registered, do it today! I will be there. Heads up with a site change for the Loma Prieta Region Zone 7 Concours. The event will move to the new location, Porsche of Fremont on the same date as originally published, Sunday, June 3rd. LPR and Al at Partsheaven have been working together for the past 27 Years for that event. This year, the City of Hayward has made it impossible to hold the swap meet at the original location. The new site will have no Swap Meet. Thanks to Al at Partsheaven for a great run of events over the years. 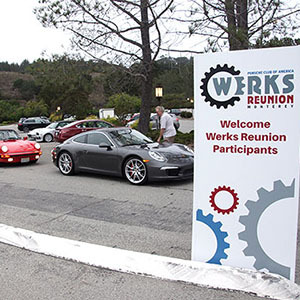 Plan now to be out and about driving your Porsche on June 9thfor “Sports Car Together Day” celebrating the 70thanniversary of the Porsche sports car. More information is forthcoming on where to post your photos. For those who are looking for up coming tours, there is a group of Zone 7 people who have been heading to Mammoth in June over a few years. This year the event will be June 15-17th. Dave Ogden from Sequoia Region works on driving options and routes. There will be groups leaving from Sequoia Region area, from the Bay Area and from Reno. Contact Dave Ogden at dogden@hydratechcylinders.com for more info. They are hoping for 50 cars in Mammoth this year.